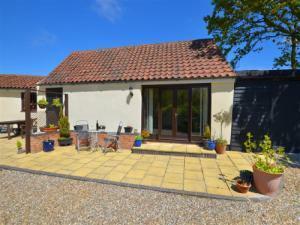 Owl Barn01263 715779work01603 870304fax Self-cateringSituated nearby the owner's home in a tranquil area of rural Norfolk, this property enjoys attractive gardens, modern utilities, comfortable furniture and tasteful decoration. The local area is home to a variety of wildlife including owls and other birds. Guests can enjoy a good selection of walks nearby and the nearest pub is less than three miles away. • Other: Towels, Books and games provided. Note: Dog must be kept out of bedroom. Travel cot. Situated nearby the owner's home in a tranquil area of rural Norfolk, this property enjoys attractive gardens, modern utilities, comfortable furniture and tasteful decoration. The local area is home to a variety of wildlife including owls and other birds. Guests can enjoy a good selection of walks nearby and the nearest pub is less than three miles away.